In the late 80s/ early 90s Suzuki produced a small lightweight all-aluminium twin-cam engine for the GTi variant of its Suzuki Swift Hatchback. 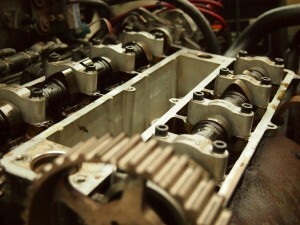 This little engine powers my Locost and I have come to love it for all its little engineering nuances. The following page is a run-down of some of my notes on the G13B and experience that I have gathered over my years of owning them. This reference will be forever changing, so please come back in the future for more updates. Being of an all-aluminium construction the engine is very light. Especially compared to an all-iron Ford Crossflow or Pinto Engine, or an iron-block Ford Zetec, all of which are popular engines in Locosts. The G13B has been measured at around 133 lbs / 60.3 kg without manifolds (Source: Bugzuki) and ~80kgs with manifolds and flywheel (Source: 16vminiclub). A rear wheel drive gearbox is available from the SJ410 / SJ413 / Samurai. The four wheel drive system uses a separate transfer case which can be omitted to put the power purely to the rear axles. The greatest attribute of the G13B, and the reason they are worth spending your time on, is their factory forged crankshaft. This large, and expensive, bottom end component will never need replacing or upgrading; no matter the performance level you build this engine too. Although 100hp is nothing to write home about in 2017, these engines can take a lot of abuse and have the potential to make a lot more, for not a lot of money; while still maintaining a small lightweight package. As you can see, the G13B is not the be all and end all of high-output four cylinders engines. A modern super bike engine such as the Suzuki Hayabusa has a higher specific output, as does the Honda F20C. Where the G13B excels is in its absolute weight and simplicity. It will never beat a bike engine for naturally aspirated power, for reasons listed below, but due to the ability to bolt it to a car gearbox it can make a more reliable package. The cylinder head has relatively small valves compared to its high-output motorbike counterparts, so the natural aspirated power output is limited. 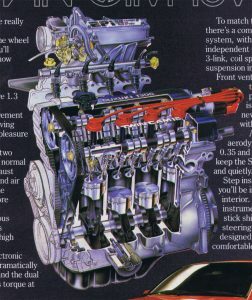 That said, compared to an eight valve car engine of the same size it very flows well. This is one of the many reasons I believe the G13B was built to be turbo-charged; a subject I will cover later. Essentially any upgrade Suzuki did to their engines, you should also do to yours. 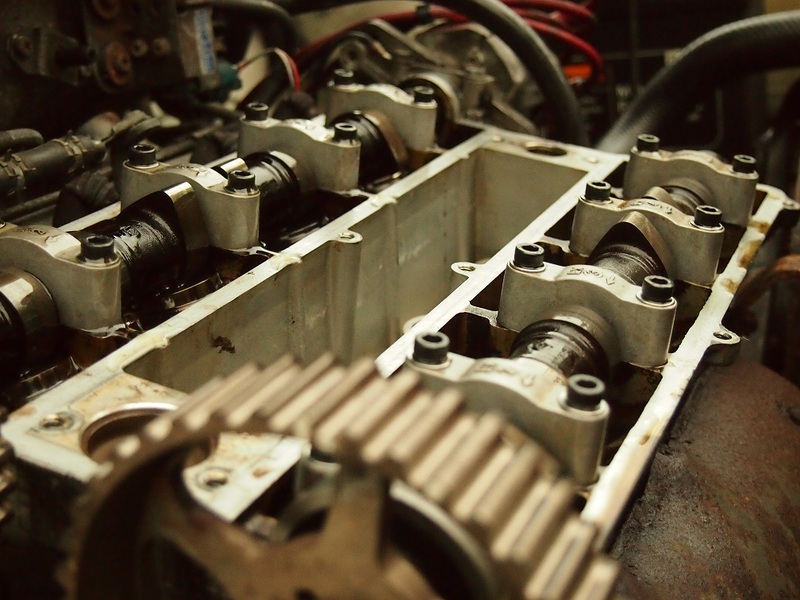 There were two clear changes across the years, cam-belt width and camshaft castings. The MK2 and MK3 G13B engines had a wider cam-belt and pulleys, compared to the MK1. This was to reduce the chance of catastrophic cam-belt failure. While MK1 engines are/were fairly reliable (I run one in the Locost at the time of writing), it is worth upgrading to the wider cam-belt. Apparently the standard con-rods are “only” good to 9000rpm, and any more engine speed will lead to failure. I don’t know if this is a rumour spread by con-rod manufacturers, but if you are building an engine to rev this hard you probably should already have upgraded these components. This is also the case if you transition to forced induction. I learn’t this the hard way when driving my daily Suzuki Swift GTi. MK1 and MK2 camshafts (up to 92 I believe?) are hollow, to reduce rotational inertia in the engine and allow it to rev more freely. This is great, but the castings are not fantastic and are prone to cracking. They will begin to crack over time at the through holes between each cam pair. 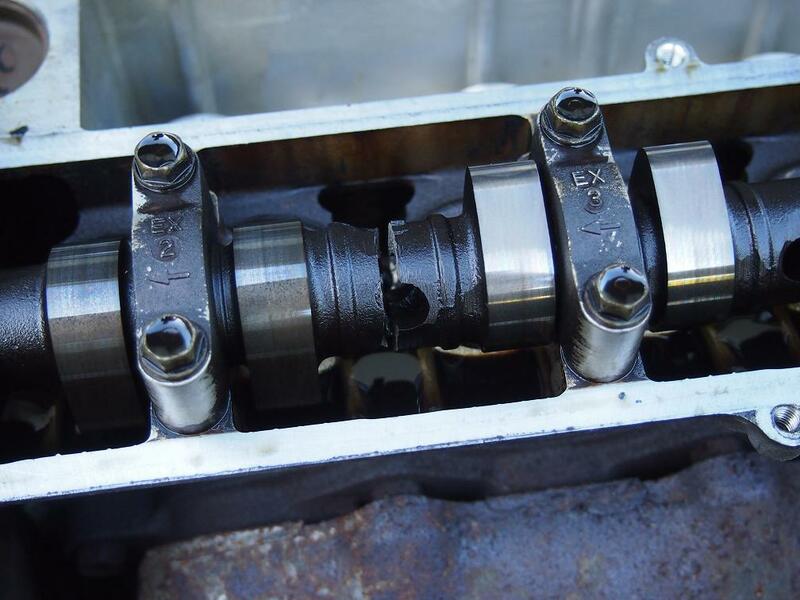 Camshafts see a high frequency oscillatory bending load which promotes crack growth; especially on the exhaust side where the camshaft has to work against the exhaust gas pressure in the cylinder. 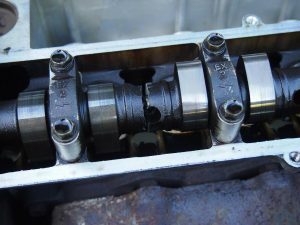 I got very lucky and a compression check showed no bent valves; having installed MK3 solid camshafts to replace the MK2 items. This is a definite upgrade for anyone looking to improve the reliability of their engines. If you rebuild one of these engines it is suggested that you use standard Suzuki mains bearings and adhere to the numbering system on the engine block. For example, the engine that is currently in my car uses “B” spec bearings and this is clear thanks to four “B’s” stamped on the underside of the block. I did not know this when rebuilding the engine originally, so it is limited to ~50psi when running hot, thanks to the crankshaft bearings flowing too much oil. This engine won’t fail any time soon, but when it gets pulled for its next rebuild I will be sure to specify these correctly and plasti-gauge the crank to double check clearances. Also note that the cams run against aluminium caps in the cylinder head, supplied with oil from the lower side. As these caps wear over time the flow rate through these bearings will greatly increase and result in lower than standard oil pressure. Plasti-gauge your cam caps and ensure the tolerance is within spec. Eventually I will machine a run of caps for my own engines, to give them a proper refresh.